The Bible teaches us to love other people as we love ourselves. A wonderful thing to do, most of us would agree. After all, isn’t love a matter of wanting what’s best for the other person and being willing to sacrifice to make sure that happens? But what if what’s best for the other person costs us something? Maybe even a lot. Shouldn’t we be free from having to love the other person that much if he or she is selfish and doesn’t want what’s best for us in return? How fair would that be if both parties in a relationship don’t want what’s best for the other equally? The Bible also teaches us to love our enemies. You mean God wants us to sacrifice to provide what’s best for them when they have no concern whatsoever about our welfare? How unfair! Hmm. Then again, look at Jesus. How he suffered that indescribably hideous death on a Roman cross to provide forgiveness for all who accept His free gift. That’s love beyond the call of duty, if you ask me. Yet it’s what Jesus came to earth to do. And even while He was hanging on the cross, He forgave the soldiers who were crucifying Him. And they weren’t even sorry for what they were doing! Maybe we should all take a fresh look at love. Do we love other people enough to put their needs and interests ahead of our own–and forgive them when they wrong us, even if they don’t think they’ve done anything wrong and are no way sorry for what they’ve done? Hmm. Tall order. Humanly impossible. But the Bible says that we can do all things through Christ who strengthens us. We’ll never be able to love as perfectly as God loves, but it sounds like Christ can enable us to do a better–a more Godly–job of it. How do you feel about your enemies? Will you let God help you love them? And what about the people you already love? Will you let Him help you love them more perfectly–less selfishly, more sacrificially? I’d love to hear what you think. Do you know someone you couldn’t love if your life depended on it? 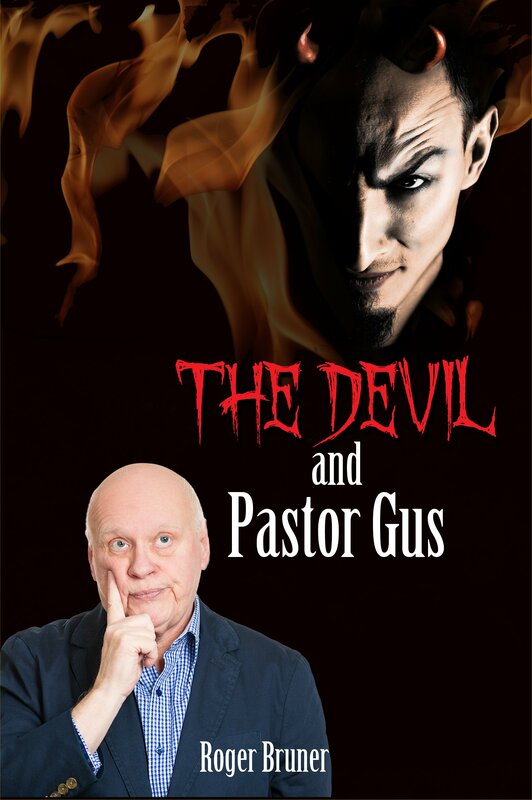 This entry was posted in Enemies, Forgiveness, Love, Uncategorized and tagged As I Come Singing, Free Christian Lead Sheets, Free Christian Lyrics, God's Forgiveness, Love Is Sacrifice, Loving Other People, On Aging Gracelessly, Roger E. Bruner, The Devil and Pastor Gus. Bookmark the permalink. Agape is a particularly interesting type of love. It is most notably mentioned by Paul in 1Corinthians chapter 13. If you are referring to this type of love as a Christian sacrifice you are correct. Anyone can love a book or a pet or a favorite dessert. But to love ones enemies requires a special kind of emotional force that permits one to do that which is not natural. It is not conventional nor is it intuititive to love ones enemies. Quite the opposite, it is something you need to train your heart and mind to do. You need to have a good reason to do this – be it religious or philosophical. As for me I am not in the sacrificing mood and certainly do not want to sacrifice myself for my enemies. Indeed, my sacrifice would be pure vanity. I have no special sacrificail gift and so it would have no merit. In the biblical context Jesus had such a special gift – his sinlessness – which made him a perfect subject for a sacrifice if he so desired. Apparently he did desire this and offered himself up willingly – exercising this agape type of love because he knew his sacrifice had merit and would be accepted as such. Good for him and good for us! Now, if only all the people who understood this tidbit of information also understood everything else he had to say… Hi Roger.